We’ve found the best for your money among the Cowboy Boot Makers in El Paso, Texas- the cowboy boot capital of the world. 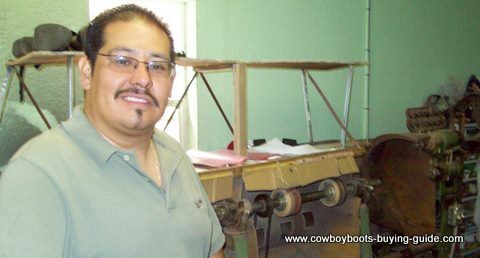 This custom cowboy boot maker and his family have been in business since 1855. They bring a wealth of experience and artistry into making a unique pair for you at unbelievable prices. This custom maker is the one you’ve been looking for. The custom made market has many good makers but for the price of this family's boots are hard to beat. A brief history of this superior cowboy boot maker's family points to the abundance of experience they bring to custom made segment of the boot business. The founder of the company, Felipe Montoya, started back in 1855 in the shoe manufacturing state of Guanajuato in Mexico. Back in those days the demand for well made boots was high due to all the cattle ranching and horse riding of the day. Felipe distinguished himself for his dedication to the making of top quality boots. This commitment to superb western shoe trade has been passed down through the generations. The second generation brought Jose Maria Montoya, Felipe’s son, to the forefront. Jose continued and improved on the skills he inherited from his dad up until his death in 1955. By then the company had made important strides to better their production methods. During those years Jose’s son and grandson, Luis and Raymundo, moved to the El Paso area to lend their services to the great and fledgling manufacturers of the day, such as Tony Lama, Nocona, etc. 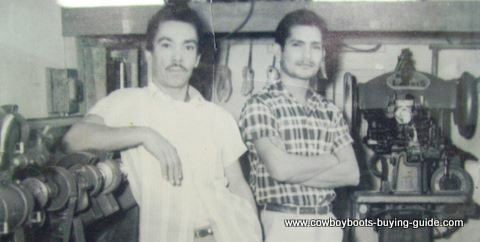 Raymundo Sr. at 75(top picture) is still creating first class custom handmade cowboy boots utilizing all the accumulated genius of the Montoya family throughout these many years. 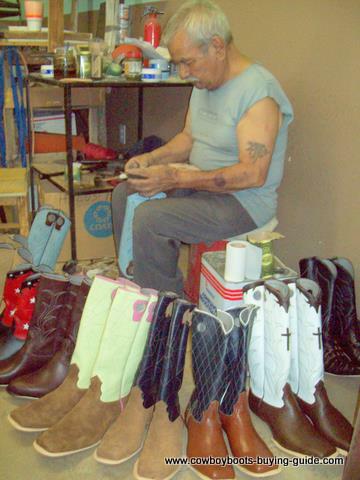 As most of the cobblers before him, Raymundo Jr. , started crafting his first boots when he was a child. He played among the booting making materials and machinery as a kid. Now Father & Son work side by side with their employees to produce the boots that have made them well known and appreciated in the western wear community. To look into getting your western shoe wear made for you by Montoya Boots, please fill in the information below. Please be sure to fill in the bottom most square with the Montoya so we'll be sure to pass it on to them. They will follow up with a measurement chart and any other info they might need from you.